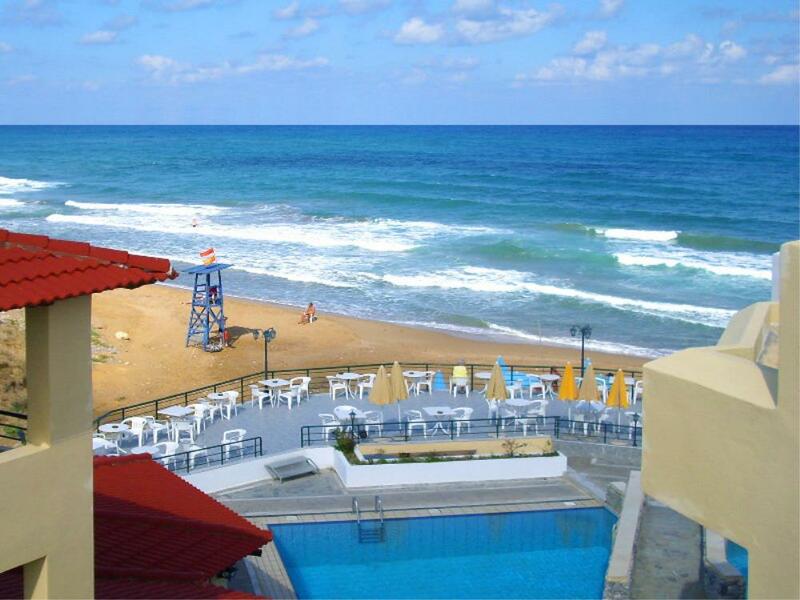 Dedalos Beach Hotel is right on Sfakaki Beach with a beach bar and tavern. Surrounded by a well-tended garden with bougainvillea, it features an outdoor pool with separate children's section, a restaurant, and a poolside bar. A sensational view to the sea, different from any angle of the hotel, with the terraces, the gardens, the pool, all beside the beautiful Cretan Archipelago. The waves sound to the rooms, and the sun sets in front of your eyes creating pink and turquoise sunsets. With a unique atmosphere, marvelous food and excellent services, the hotel offer the perfect family vacations. 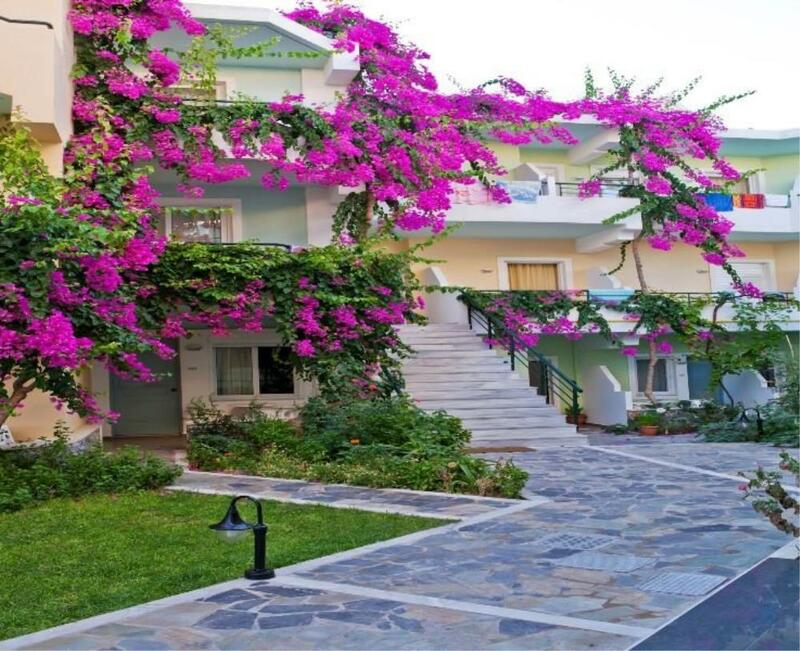 The ideal location beside the spotless sea, the direct access to the beach and the warm Cretan hospitality make this hotel an ideal option for your stay in Greece. Amenities include a relaxed, buffet-style restaurant and a beachfront eatery, in addition to 2 bars. There’s also an outdoor heated swimming pool, a rooftop terrace and a library for on-site relaxation. The on-site conveniences include a storage room, a safety deposit box, and an elevator. 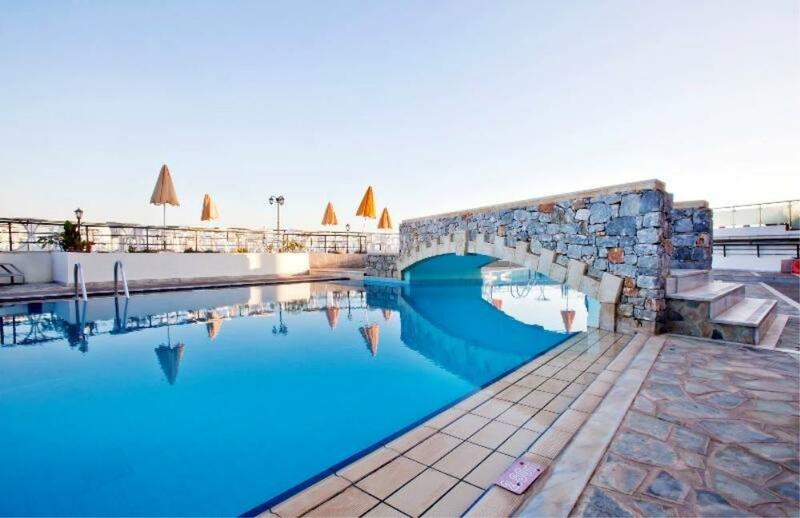 Dedalos Beach Hotel also has a game room and a pool for guests traveling with children. Elegantly decorated, comfortably furnished rooms with sea view both in the main building and 2 wings of the hotel. All rooms feature amenities designed for your pleasure. The apartments are perfectly suited for families and for people with disabilities. An option of larger rooms is also available for families of three to five individuals. The rooms are either single or two spaces with the intermediary door. The rooms include a double and two or three single beds, big closet, marble bathroom with a bathtub, air condition, satellite TV and direct phone line, refrigerator, safe locker and furnished balcony or terrace with a great view to the sea. The room offers a double or two single beds, big closet, marble bathroom with a bathtub, air condition, satellite TV and direct phone line, refrigerator, safe locker and furnished balcony or terrace with a great view to the sea. The room also offers direct access to the beach and to the pools so you can get the most out of every moment of your vacation. The room offers a single or double bed, big closet, marble bathroom with a bathtub, air condition, satellite TV and direct phone line, refrigerator, safe locker and furnished balcony or terrace with a great view to the sea. A culinary journey of flavors and aromas to the restaurant and the hotel’s tavern puts into temptation even the most abstemious, with a wide variety of local dishes but also international cuisine, prepared with the finest ingredients. The main restaurant of the hotel offers breakfast and dinner with great dishes from Greek and international cuisine. The extensive buffet offers appetizers, soups, main dishes, fresh salads, and delicious desserts. Both breakfast and dinner are served to the pergola of the hotel overlooking the Cretan Archipelago. The tavern is located at the hotel’s beach and you can enjoy great dishes during noon. The cafe is located next to the beach and offers great snacks and refreshing drinks throughout the day. It is the hottest meeting point of the afternoon. You can say goodbye to the sun with a glass of wine or enjoy a nightcap after dinner. On a wonderful beach, the endless blue of the Cretan Archipelago. They have at your disposal sunbeds, umbrellas, outdoor showers, towels, refreshing drinks, and delicious snacks to enjoy ideally the fascinating Cretan sun and the amazing sea. A Unique beach and for another reason: it is one of the last refuges of the sea turtle Caretta caretta. If you are lucky enough you will enjoy the rare spectacle of the newborn turtles who rush into the wave during sunset.